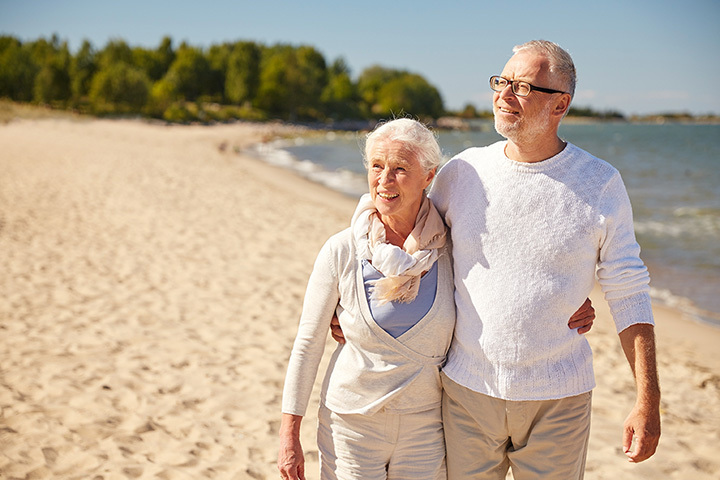 The 10 Best Retirement Activities in Wisconsin! Retirement is all about much-needed rest and relaxation after years of punching the time clock. But who says that retirement has to be boring? Wisconsin makes for an excellent place to retire, with endless activities available to those looking to enjoy their free time. Get the gang together and discover new hobbies and passions with these 10 great retirement activities in the state. Road trips are a blast but tend to be only a couple of days. Plan the perfect week-long road trip across Wisconsin. We recommend traveling in the spring, summer, or fall months. Pack your bags, choose a Wisconsin destination, and hit the road. Be sure to research some of the best eateries on your way! If you’re looking for suggestions for a several-day fall road trip, we already have you covered. Volunteering can be very rewarding. However, it can be hard to balance work, life, and relationships while doing so. Retirement offers the perfect opportunity to volunteer on a regular or semi-regular basis. Visit the Second Harvest Food Bank of Southern Wisconsin and offer up some of your time to support a good cause. Bird watching can be both fun and relaxing. One of the greatest places to explore nature is Horicon National Wildlife Refuge in Mayville. This freshwater cattail marsh is the largest in the U.S. and brings in tons of wildlife throughout the year. Pick up a handy bird watching manual so you can jump right in on the fun. Retirement is the perfect time to learn a new sport. Find something that you are passionate about dig right in. Yoga provides an excellent opportunity to stay fit in retirement. Not only does this sport keep you physically able and healthy, but it’s also a wonderful exercise for your mind. There are numerous high-quality yoga studios throughout Wisconsin. If you’re in the Green Bay area, visit Grace Yoga Studio. If you’re near Cottage Grove, check out Kula Yoga & Wellness, and if you’re near Menomonee Falls, try out Peace Yoga Studio. Take a vacation for more than two weeks. You’re retired now, which means you dictate the time spent off from your schedule. Door County is a spectacular vacation spot in Wisconsin. Catch views of Lake Michigan and stay in some of the most beautiful little villas. Let someone else do the cooking while you sit back a relax on an extended vacation, right in Wisconsin. Located in West Bend, the Museum of Wisconsin Art provides great benefits if you become a member. If you get the $12 “One Level” membership, you’ll receive unlimited free access for one person for an entire year, an opportunity to attend artist talks, opening parties, and special programs. The Benefactor Level membership, the most expensive option, allows unlimited free access for up to six adults and children 17 and younger for an entire year. Member receive invitations to artist studios and private events, receive a 10 percent discount in the MOWA Shop, an opportunity to enroll in studio classes, among other great benefits. This Madison pottery studio provides a serene space to hone your creative skills. There are several classes available including adult wheel classes, in private or with a group, where you can practice your pottery wheel skills. There are kids classes, in case you want to bring along your grandchildren for a class, and there are also group glass fusing classes available. Who says that camps are only for kids? Some of our fondest memories come from the friendships we gained from summer camps. Add to those memories by attending Camp Halcyon in Wautoma, Wisconsin. Enjoy great food, wine, beer, and fun activities while camping out—just like old times. Joining a new group can mean so many different things. Before you know it, you’ll have a new hobby up your sleeves. Whether it’s gardening, prayer, or a Wednesday night volleyball league—you’ll be proud to say you jumped right in. The Fox River Valley-area gardening club is an excellent opportunity to get together with people of similar interests. According to the Wisconsin Conservatory of Music’s website, it does no matter whether you’re “a beginner or a virtuoso,” taking private music lessons is for everyone! Whether you love rock, jazz, or classical music, the professionals here will help you learn how to play an instrument you’ve always loved.